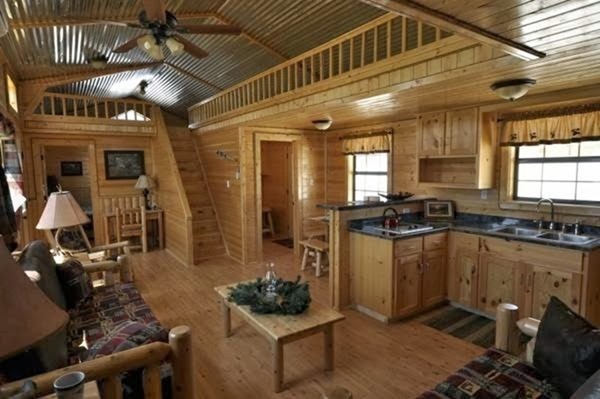 Whether your dream cottage is nestled in the rolling hills of a countryside or hidden somewhere off the map in a secluded forest, nothing beats cozying up in a log cabin with friends or family after a long day of hiking, swimming, fishing or working. 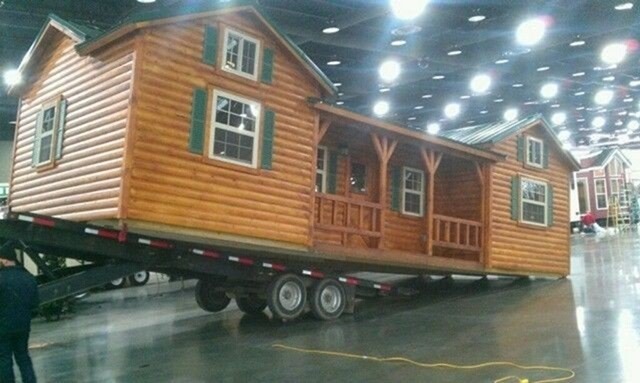 Now, thanks to a Kentucky-based cabin company and community of Amish builders, constructing your own log cabin may be easier than you think. A DIY kit to build this gorgeous cabin can be purchased for $16,350. 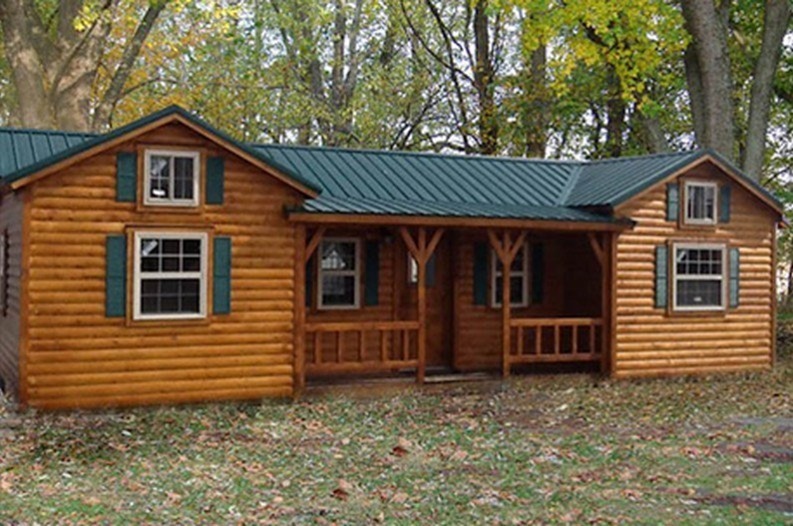 The log cabin kits contain all the unassembled components that are necessary for the project. These materials often include easy to understand instructions, a foundation plan, wood, screws, caulking, windows, metal roofing, railings, doors, exterior stain and more. Built out of beautiful and sturdy pine, this rustic model features a centered front porch, two lofts and has lots of windows to let in natural sunlight. The cabin kits leave plenty of room for personalization; home decor, furniture, and landscaping are entirely up to the builder. Amish log cabin owners who don’t feel like picking up their toolbox can opt to have their homes pre-built. Pre-assembled homes can also be placed on trailers and delivered directly to new buyers. Additional cabin add-ons available for purchase often include solar power, additional storage space, heating installation, extra bathrooms, functional dormers and more. Share this awesome small house by tapping below!